the feed system comprises means for operating the common pumping system so as to transfer water from the collectors to the storage tank only while the amount of water in each of the collectors is greater than or equal to the predetermined level. 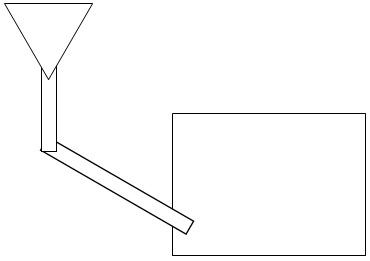 a tap further comprising: a funnel; and a turning wheel to control supply. A rain collecting device as claimed in claim 1, wherein said funnel is comprised of a tube and a collecting basin. A rain collecting device as claimed in claim 1, further comprising a display system and means of collecting data. A rain collecting device as claimed in claim 4, wherein said water level meter further comprises a direct control method using a wheel. A rain collecting device as claimed in claim 1, wherein said tap is arranged such that collected rain will be released when a torque is applied. a web-based system to store subsequent Microsoft Word documents. A method for storing rainfall measurements as claimed in claim 6, wherein said Microsoft Word documents use a pre-defined template. Does my patent (particularly claims 1 through 5) infringe O'driscoll's patent? The simple answer is that patents never infringe other patents. It is never patent infringement to file a patent, because filing a patent does not fall under the excludable rights of making, using or selling an invention. A patent is just a description, not an actual working device. The interesting question is whether it would be possible to build a rain collecting device falling within your Claim 1 and outside O'driscoll's Claim 1. The simplest way to do this would be to omit a "common pumping system" required by O'driscoll's Claim 1 but not by your Claim 1. Not the answer you're looking for? Browse other questions tagged patentability patent-infringement claims or ask your own question.